We know, from history, that Thomas Edison tried and failed a variety of experiments when harnessing the power of the light bulb. As the story is told he had over 10,000 failures, in his quest to light up the world. At no point did Thomas Edison ever consider himself a failure. He, like any successful person, he saw failure as a learning opportunity. He, like any successful person, saw failure as a learning opportunity. Every failed attempt was a chance to learn from the outcomes, and apply that learning. If anyone were the poster child for persistence, it would be Thomas Edison. Of every virtue or value that we possess, persistence is an ingredient that features consistently in those who succeed, regardless of what they succeed at. We understand how top athletes persist, they keep their bodies in shape, growing in strength, and they push their boundaries of endurance in a bid to set new records. It isn’t just apparent in athletes, though, you can see it everywhere you look. In fact, it’s likely that you see it in your work world every day, you have just forgotten its value. We can be discouraged easily when it feels as though we are constantly striving for something that never works out. This becomes more complicated when you combine the personalities that you work with. If you observe someone who is passionate about what they do, someone who achieves the goals they have set for themselves, then you are observing a person who is persistent. They’re a realist who understands that life doesn’t always go the way you want it to the first time. It isn’t a 100-meter dash, a marathon. There is nothing better than looking at your list of goals and being able to tick something off as being done. There is nothing greater than being able to nod to a list of accomplishments and successes. Nothing feels more wondrous that tasting success. 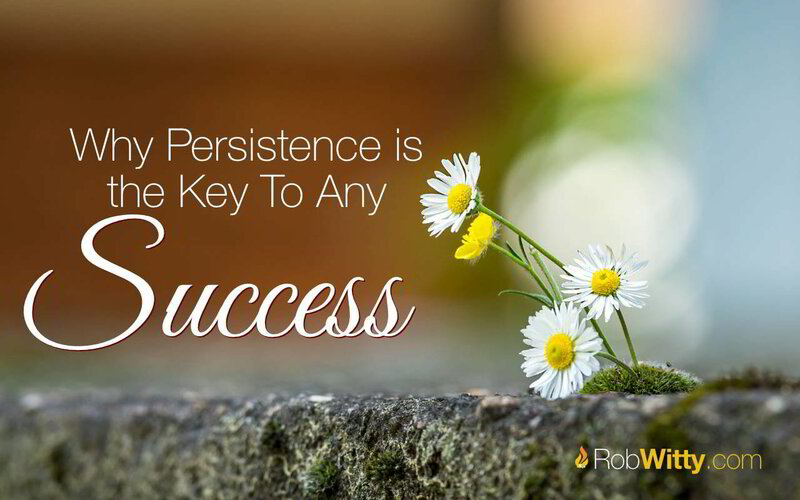 Do you know what else, persistence has? Optimism as a constant companion. Persistent people understand that not everything will work out well, but they are persistent, and react optimistically. When life is at its toughest points, your persistence will be fueled by your optimism. Persistence allows you to hold a belief that if you try hard enough, and go at it long enough, and that you are prepared to make adjustments as you progress, you will indeed achieve your goal. Persistence and optimism tell you to keep going, because you will get there. If you are thinking about what it may take to provide a boost to your career, you might want to have a look at your persistence. It’s vital that you know what you’re striving for, and what result that you are looking to reach. If you need to do research, gather knowledge, or resources, then go out and get it. Once you have a goal, you’ve gathered your resources, and made a plan- it’s time to go for it, and do it with commitment and enthusiasm. You should remain focused on that goal every single day until you achieve it. It’s okay to rely on the support of family and friends, because the ability to ask for help is just part of the attitude that accompanies persistence. It isn’t an easy road, even though persistent people make it look easy. Persistence is being presented with an acceptable reason to quit, but instead moving forward. It’s about being optimistic, and believing you are pursuing the right dream.